As if cats aren’t already extremely lax; they sure will be after enjoying this beverage. B&H Lifes created a product called Nyan Nyan Nouveau Yup, a wine for cats. 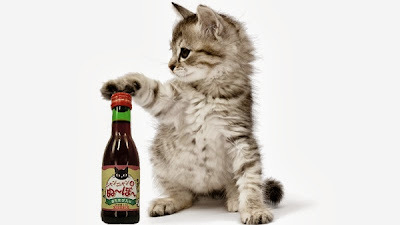 Though it doesn’t contain alcohol, it does contain the equivalent for cats – this beverage is a combination of grape juice, Vitamin C, and catnip. Why not, let your favorite feline let loose!